1. In order to suit the mineralogical characteristics of wollastonites, vortes cutting and rolling methods are adopted as the main forces for mechanical grinding so as to protect the crystal formation of the wollastonites. 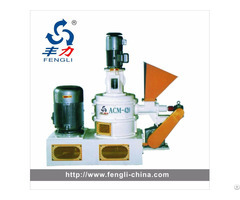 The machine has a high length to diameter ratio (L/D=12-25:1). 2. 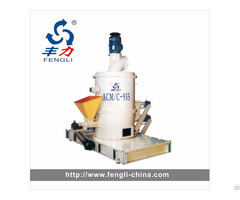 The working gaps of the grinding accessories/devices are adjustable, so that needle-shaped wollastonite powder of different fineness can be produced (d97=13-220μm). When the grinding accessories/devices are worn, the correct working gaps can be mained by adjusting the relevant spacers so that mot only is the operational lift of the grinding accessories/devices extended, the quality of the product is also guaranteed. 3. 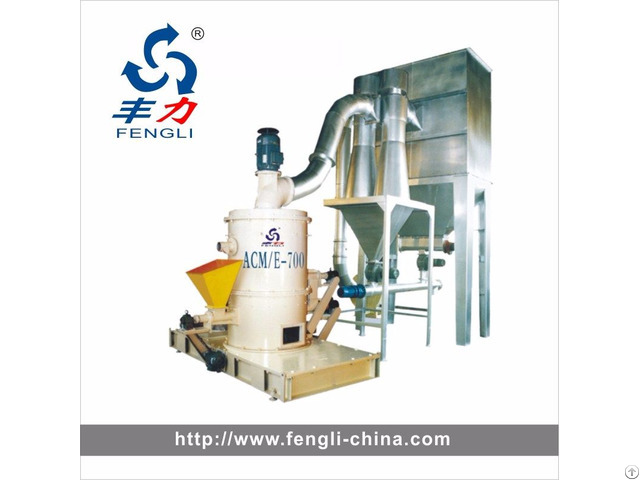 The equipment has buit-in low-speed stage separation device(s), able to meet the required product fineness and to avoid over grinding of the product in the form of breakage of the "needles". 4. 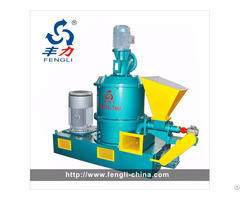 The use of electro-magnetic vibration feeding forms part of the automatic feed control system. This is responsive to the conditions of the grinding and blower motors, guaranteeing consistent feeding and best efficiency.